Your home is a reflection of your personal taste and style. Improve it with cabinetry created specifically for you with help from Wood Innovation in San Leandro, CA. With our woodworking services, you can create functional, visually stunning spaces that match the overall look of your home. Whether you need custom cabinets, bookcases, or entertainment centers, rest assured that our designer will work to turn your ideas into reality. Building your dream home? Looking to enhance your property’s interior? Call us today for your woodworking needs. We make sure to provide AutoCAD drawings of woodworking projects prior to construction to ensure complete customer satisfaction. For inquiries about our woodworking company and the services we offer, call or email us today. Our staff, including Alonso and Steve Lujano, are more than happy to help you. Venice Tile & Marble was established in 1987 for the purpose of providing the best selection of tiles, both ceramic and porcelain, and natural stones, including marble, granite, limestone, slate, quartzite and onyx for use in residential and commercial establishments. Throughout the years, the company has built a reputation throughout the region for its excellent workmanship and its kind and helpful customer service. Mr. Hayden Sarji, Chief Executive Officer and Managing Director, founded the company after gaining experience during his many years in the industry and he continues to lead his employees through expansions and innovative developments of the company. Venice Tile prides its work on bringing the comfort and beauty of tile and stone products into all aspects of architecture. We provide services to all types of customers in their building projects -- from land developers to landscapers, from major construction companies to private residential clients, and from architects and designers to home improvement specialists. Our goals continue to be to serve each client's needs equally and professionally and to provide quality work and products. We are a stone company with a 30 year history in the Bay Area. 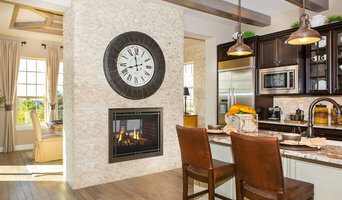 Building Dreams of endless designs in fire hearth and entertainment fireplace center for the modern home owner . 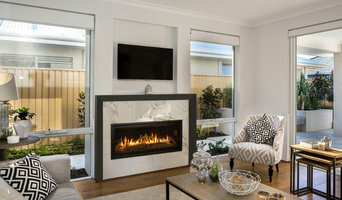 all in house one stop shop no subcontractors we design , build ,remodel and fabricate on site of gas prebuilt fireplaces metal work stone & Granite or tile work projects . 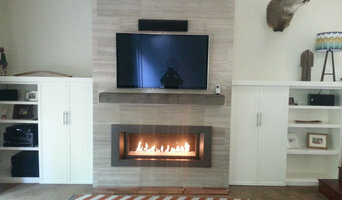 gas and electric specialties with hidden cables to the TV above fireplace systems .